Nowadays when everyone is able to get a site online in minutes finding a hosting seems it become the easiest problem. This may be true in the case when we just play around and test how hosting works, but when comes about getting more and more exposure and visitors and when your website is thought as a business things change radically. The more complex your web application is or the more people would visit your website you will need to think more about what Web Hosting would make it work faster, better and 24/7 with no breakdown. Here comes in scene HostUCan.com. 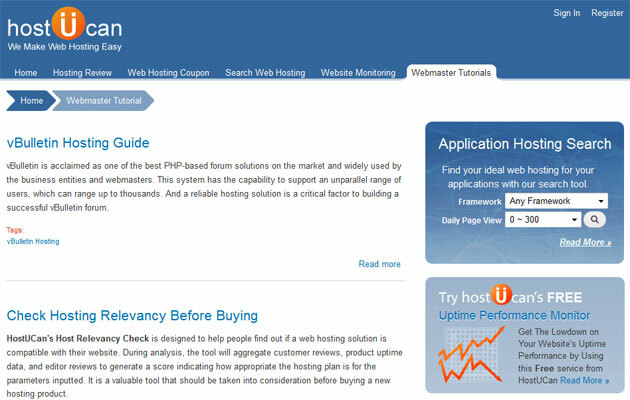 HostUCan.com is a complete web hosting search and review platform. It provides a powerful context-based search engine in order to help people find the best hosting option based on their hosting needs. HostUCan is also a place for webmasters to share their hosting experience and to seek information from other experts. HostUCan.com provides a simple yet very powerful way to select desired web hosting based on your application. For example you may find WordPress Hosting, Joomla Hosting, Drupal, osCommerce or other proper hosting dedicated to your site engine. Also another option is by script like: PHP, Perl, Python, Ruby on Rails etc. 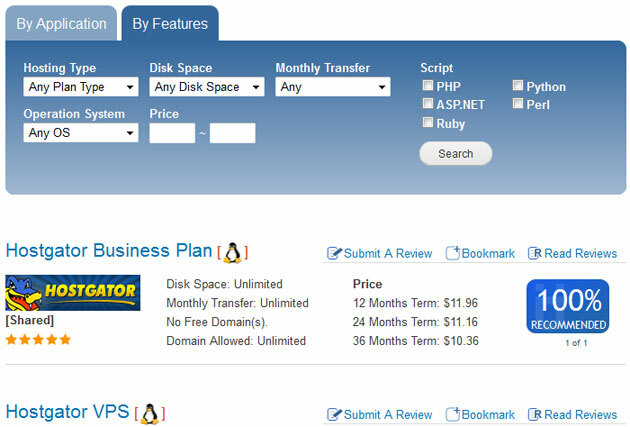 One of the most important options is also by Hosting Type: Linux Shared Hosting, Windows VPS hosting, Linux Dedicated Server, Collocation Hosting, etc. Searching process is split in 2 main sections: by Application and by Features. Want to know how reliable your website really is? 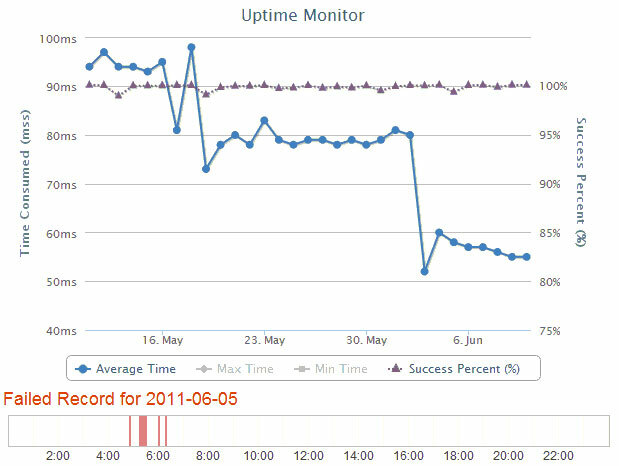 HostUCan offers a free Website monitoring service to help Webmasters track uptime & performance of their sites. HostUCan’s Host Relevancy Check is designed to help people find out if a web hosting solution is compatible with their website. During analysis, the tool will aggregate customer reviews, product uptime data, and editor reviews to generate a score indicating how appropriate the hosting plan is for the parameters inputted. It is a valuable tool that should be taken into consideration before buying a new hosting product. HostUCan.com created a series of tutorials to help all the people interested in getting more information about well known issues to get the correct solution. All the tutorials are easy to follow and understand and are done in a simple intuitive way. Every visitor will get his answer and find useful information that will help to reduce time and get on with process of learning. HostUCan.com is the perfect adviser when you don’t have the answer to the question: What is the best web hosting for my website? All the tools, articles and guides that are provided to the visitors of HostUCan.com are simply working together to help you save time and money and will help your business grow like never before.